FREE FISHING DAYS take place usually annually in early June. No fishing license of any kind will be required for rod and reel fishing in freshwater or saltwater, except in designated stocked trout waters, on these days. (5) It shall be unlawful for any person to fish from the sand beaches or swimming areas except for between the hours of 6:00 a.m.--10:00 a.m. and 6:00 p.m.--10:00 p.m. The town pier shall remain open for fishing. (7) Fishing shall be prohibited by all persons on the rock shoreline public easement on Irving Avenue. Check our Fishing Reports page. 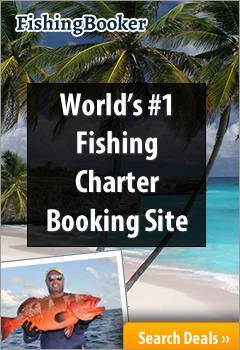 Potomac River Charters and Reel 'Em In can take you around to some cool Colonial Beach fishing areas. Westmoreland State Park: Fishing in the saltwater of the Potomac River is available throughout the year. A valid Maryland or Virginia saltwater fishing license is required when fishing from a boat. If fishing from the pier or shore, no fishing license is required. Striped bass, spot and bluefish are among the most common sport fish found in the river. Rock Spring Pond boasts a variety of fish including catfish, bream, bass and crappie. Power boats are permitted, and a boat ramp is available. There's also a boathouse that sells gas, ice, bait and other fishing supplies. Paddleboats can be rented Memorial Day through Labor Day (no powerboat rentals). Call 1-800-933-PARK to buy a money-saving annual boat launch pass. Summer camp and Grandparent/Grandchild program participants fish in Stratford Hall's 9-acre, well-stocked Mill Pond. Stratford is located at 483 Great House Road, Stratford, VA 22558. The similar-sounding Chandler's Mill Pond is on Route 3. You'll see it just before you head up the hill into Montross. http://www.dgif.virginia.gov/fishing/waterbodies/display.asp?id=29 Update May 27, 2015: Closed Indefinitely due to underlining leak. 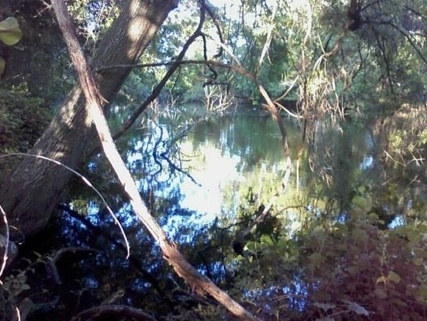 Bowie's Pond (see photos, below) is another local Colonial Beach fishing area. Stop in at Bowie's Hardware store at the corner of James Monroe Hwy. (Rt. 3) and Bowie Road for details. What's Your Favorite Colonial Beach Fishing Spot? 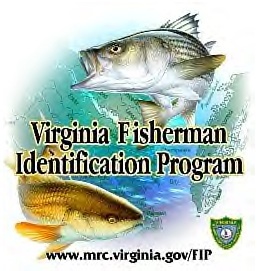 As of Jan. 1, 2011, virtually every adult saltwater angler (16 and older) in Virginia will need either a valid saltwater fishing license or to register with the Fisherman Identification Program every year if exempt under state law from buying a license. For more information, please call Director of Public Relations John Bull. He can be reached at 757-247-2269.